The product is definitely the hero of this 100% CG spot for Anchor Milk. 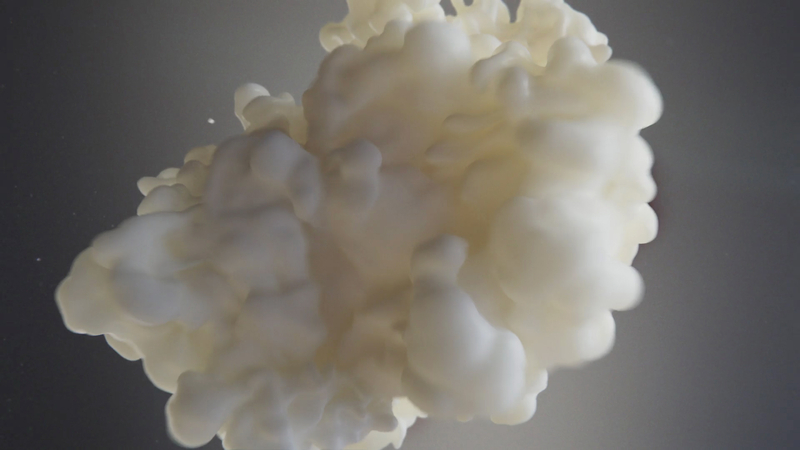 Director Andrew Van Der Westhuyzen set a high bar for the visuals by conducting a live action reference shoot exploring the look of real milk pouring into water in slow motion. But when the time came to choreograph the evolution of the milk shapes to match the storyboards, only CG fluid simulations and complex deformers could offer the control needed to hit the director’s hand-drawn guide frames. The result is a mesmerizing spot born from a beautifully minimalist concept.